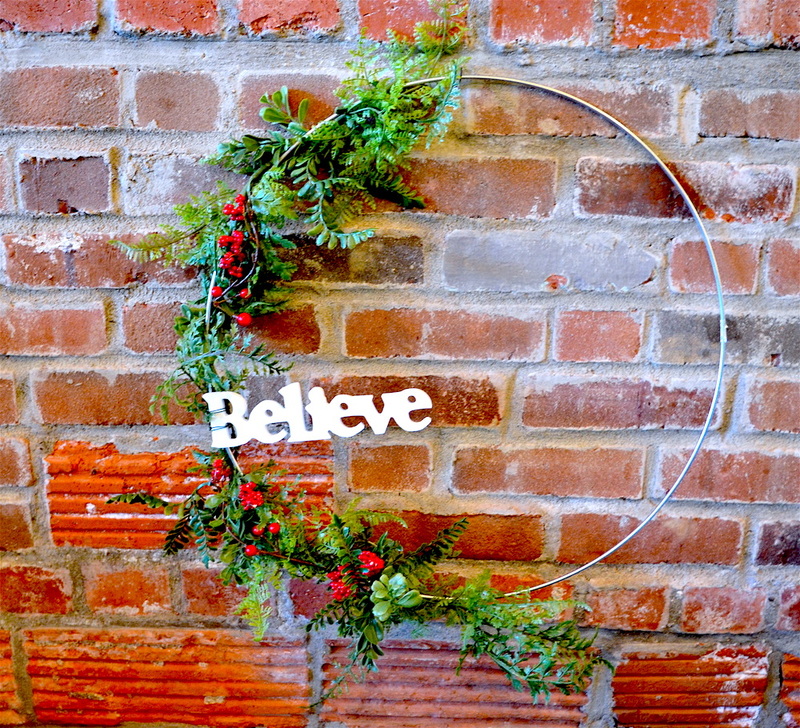 We’ll guide you through all the steps to create your customized wreath… and with nothing more than your hands! 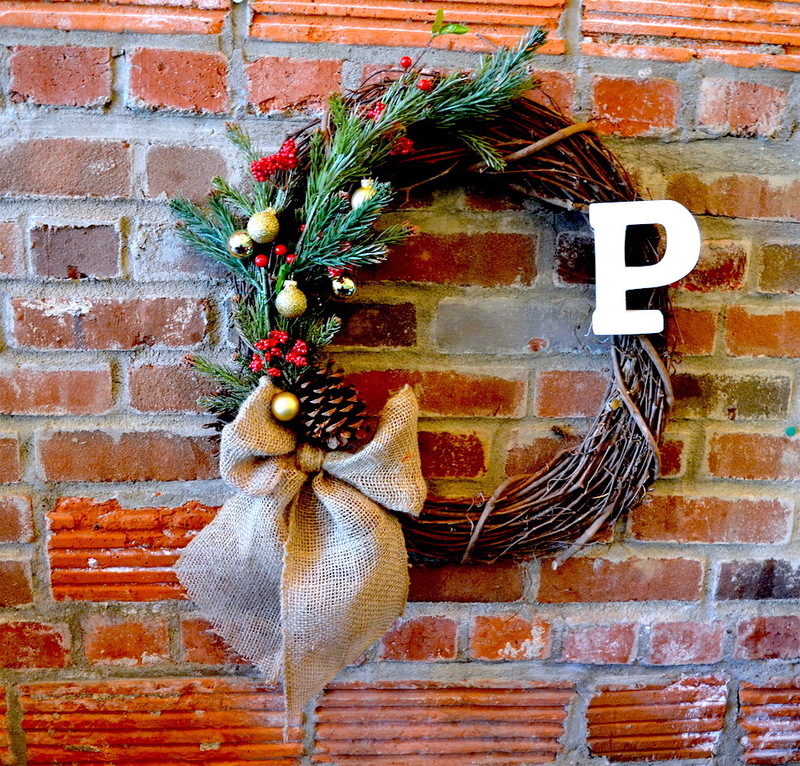 We use various artificial plants, flowers, and wood letters/words to decorate your wreaths. 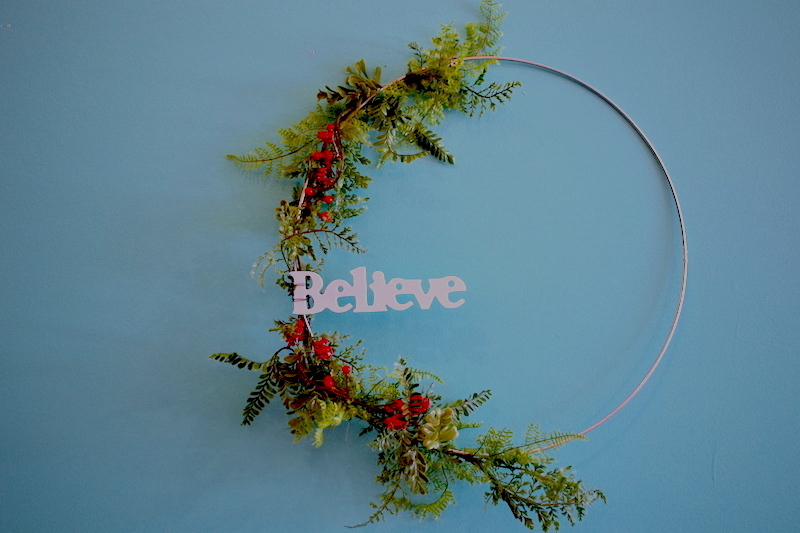 You can create a wreath to display year round, or make it a holiday wreath to display seasonally in your home! Available for private parties, corporate groups, fundraisers, and Columbus bar venues. Open Classes: Reservation required! 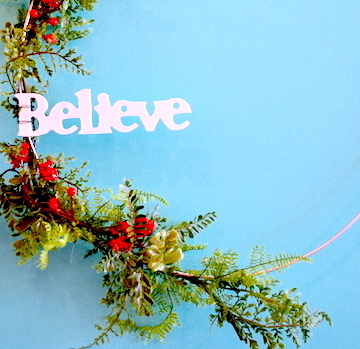 Find the next Wreath Workshop on our Events Page. Minimum 10 people to reserve a private group. 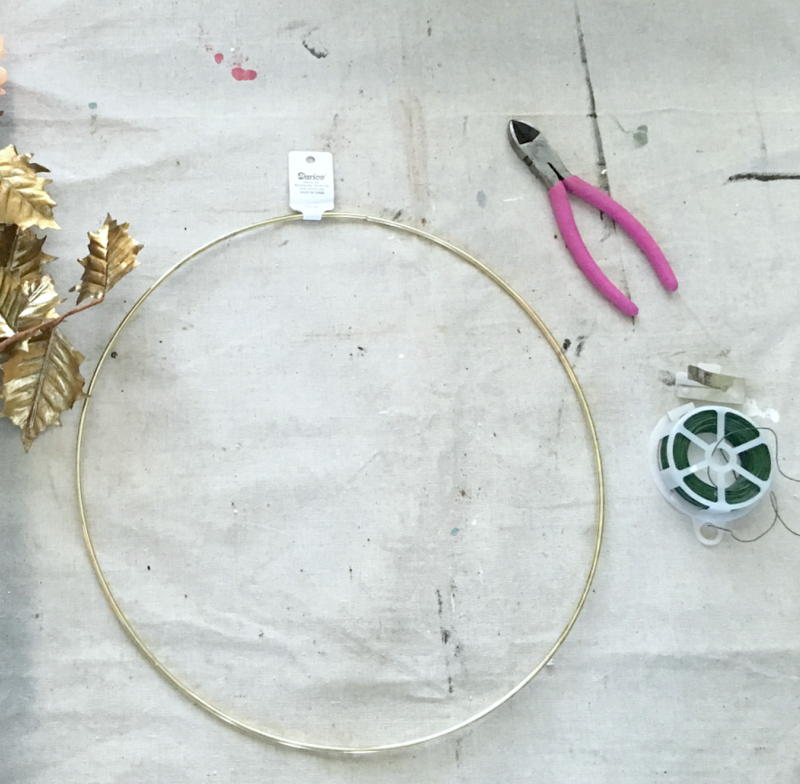 Our Studio 614 Wreath Workshops are DIY beginner classes for guests to create their own traditional or hoop style wreath (photos shown of both), and these wreaths will be customized for whatever season you’d like… or year round display! 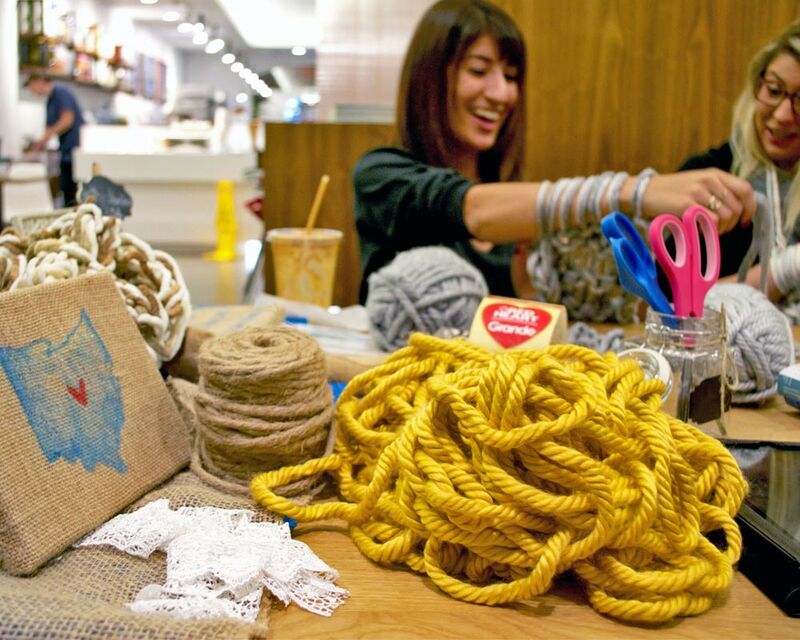 Upon arrival, guests will sit down at work stations already laid out with the supplies necessary. If the party is at a Columbus restaurant or bar, servers will attend the class for the entire duration serving you up whatever snacks or drinks you’d like!